This library provides support for the Companion Standard 101 (CS101) and 104 (CS104) of the IEC standard series for telecontrol applications (IEC 60870-5) and is commonly used in communication between a central station (controlling station) and an outstation (controlled station) in electrical power systems. 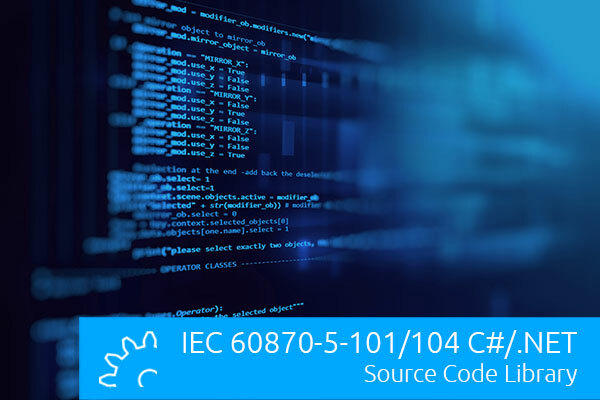 The C source code library allows a fast and cost efficient implementation of the IEC 60870-5-101 and IEC 60870-5-104 protocols into embedded devices and applications. The APIs are designed to be very easy to use and flexible. The library is written in C (C99 compliant to provide maximum portability). Due to its hardware and platform independent design it can be easily deployed on most platforms. Support for all standard message types (M_XX, C_XX, P_XX, F_XX) for messages in monitoring direction, commands, parameter loading, file transmission. For this library we provide a dual-license model. You can freely use the library for testing, evaluation, educational purposes and open-source projects under the terms of the GPLv3 license. For commercial projects you can purchase an easy-to-use and affordable commercial license, together with professional support.